Dubai, UAE, November 08, 2018: The Smile Bar, an exclusive dental whitening treatment centre for men and women that offers top-notch services in very chic environments, launched its first-ever store in the UAE at the Palm Strip Shopping Mall, Jumeirah Dubai. Riding on its successes in Asia, having launched in Hong Kong, Bangkok and the Philippines in 2015, 2016 and 2017 respectively, The Smile Bar aims to be the No. 1 choice for UAE nationals and expats with its simple yet effective teeth whitening treatments that are safe, painless and long-lasting. “We’re extremely excited to be here to cater to the multi-national demographic of the UAE with cheaper, faster and safer alternatives to teeth whitening or whitening toothpastes. We use superior products from Brilliant Smile Sweden, products that have been thoroughly tested and proven to be 100% safe, while the LED Plasma Light technology has proven to produce better and faster results. Our non-invasive whitening services will provide immediate results at affordable prices,” said May Theresa Carino Grenard, partner of The Smile Bar in the UAE. 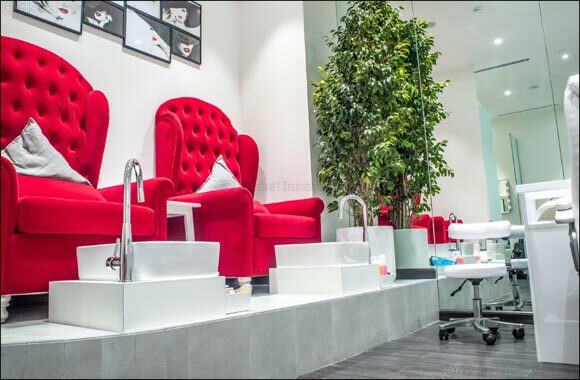 Other services include a selection of nail treatments including manicures, pedicures, gelish applications, acrylic & gel extensions for the ladies. The Smile Bar also offers products from Swedish ‘Brilliant Smile’ to help maintain post-treatment teeth. The Smile Bar is located at the First Floor, Palm Strip Shopping Mall in Jumeirah 1, Dubai.